She Types Things...: A Belated Post: "End the Word"
Very recently, many blogs I follow were alight with their point of view and their support for the campaign "End the Word". I have been too sick to post much, or even to read much. 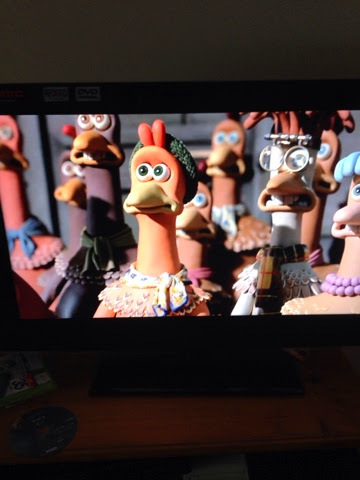 I have been whiling away my time watching far too many episodes of ER and shamelessly re-watching the movie Chicken Run repeatedly. But now, I have found new strength. 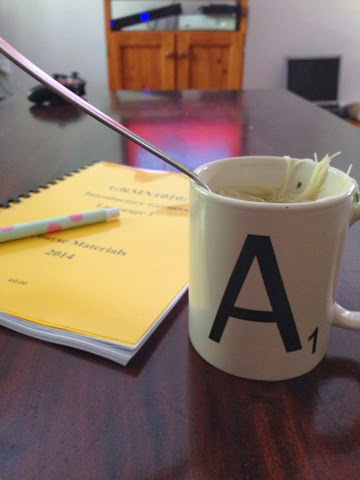 I have just now eaten half a mug of gluten-free, MSG-free noodle soup. That is currently a big achievement compared to custard and water. But on this topic, I definitely feel a "better late than never" approach is warranted. Fair warning, I will be spelling the word out several times so if you do not like to even read the word, I suggest you stop reading now. Words are one of our most powerful tools. An arrangement of letters can be one of the most beautiful blessings or suddenly a terrible curse and the word "retard" has been poisoned over the years to fall into the category of curse. It is now an offensive label. I definitely don't support the use of it, much like I don't support the use of calling someone "autistic" instead I say that they "have autism". But, I am around a lot of people who use the word "retard", "retarded" and "retardation" frequently. They don't use it with a trace of intended offence, they use it in a medical or psychological setting. My lecturers and tutors use it a lot (I am studying a bachelor of Psychological Science). Not just in terms of mental capacity, but also terms such as "psychomotor retardation" meaning what the word was originally intended to mean - a deficiency. But, sadly, although in that safe setting we use it in the original meaning - it's been so twisted and changed to an offensive term that it isn't okay to use. I am thankful for lecturers who say things like: "the old term is 'mental retardation', but now we use the term 'intellectual impairment'". But who knows... One day the term intellectual impairment will probably become offensive. It probably already is offending someone. We can't get it perfect. The problem with older lecturers using the term is that it then passes on to younger teachers and so on. The new DSM-V, which is the Diagnostic and Statistical Manual of Mental Illness was recently released - and the words "mental retardation" are not found in it. We are making progress. I want it known that I support ending the word. It's not as simple sometimes as we would like it to be, I don't think. Sometimes the more we don't want a word to be used, the more power we give to it. Just an example of how something gets a lot of power when it is forbidden. It is one of those psychological facts. But: I don't use the word myself. And that's where the change starts: with me. Soon, we must face the choice between what is right and what is easy. You've brought up some good points. Maybe sometimes we make too much of a big deal about things. It is very true that not everyone who uses the word, retard is doing so in a malicious way. I think it's used maliciously so much that it shouldn't be used, if that makes sense. It's better just left alone now almost. It's a word been ruined. But so many people I know use it without malice, strictly professionally. In fact, it wasn't until I started reading all these blogs that I realized what a terrible issue it is and I turned my support. I would never, ever call someone "a retard" but I would have (and may accidentally still) say "they have mental retardation" meaning "a deficiency in mental abilities"
But the word mental has been ruined too. But I still use spastic. When my movements are spastic, I'll say "my arms being really spastic" as opposed to dystonic or ataxic.